Are you looking for the Gold Coast’s number 1 pest control service Gold Coast? Gold Coast Pest Management Solutions provide an extensive range of pest control services to both domestic and commercial clients throughout the Gold Coast, Brisbane and Tweed areas. Unlike many of the bigger companies our sole aim is not to provide the quickest service and move on to the next appointment but to ensure we meet each individual clients unique requirements. We are always committed to selecting the right solution in order to protect your property and assets from pest infestations and the intrusion of feral animals. Weather you require a service for pest control Gold Coast or pest inspection Gold Coast we cover it all. When you contact our experienced and knowledgeable technicians we can guarantee that you will receive friendly and professional advice that will put your mind at ease immediately. Customer care and a quality service are paramount to us which is why over 80% of our work comes through repeat customers and referrals. The pest control technicians at Gold Coast Pest Management Solutions are Queensland Health Department Licensed, QBCC Licensed, Queensland TAFE Certified and Department of Environment Heritage Protection Permit Holders. We are also Licensed and Insured for Shooters/Firearms. This extensive combination of licenses and qualifications allows us to legally carry out a wide variety of pest control solutions including termites, bird removal, bee and wasp control, cockroach infestations, ants and silverfish among others. Another area we specialise in is animal management and the control of feral animals for example wild dog and fox removal, possum and feral cat control while also dealing with brush turkey and pigeon removal. We have gained a great reputation for being well equipped, experienced and able to deliver expedient and effective results. Another aspect that sets us apart is the communication with our clients who receive detailed reports on all pest activity located on their properties. Next time your domestic or commercial property comes under attack from pests or feral animals and you require a reliable, honest, friendly and professional service, Gold Coast Pest Management Solutions provide pest control Gold Coast to the Gold Coast Hinterland and also cover Brisbane and Tweed areas. Please call Gold Coast Pest Management Services as we have got you covered! Pest Control Gold Coast experts! It is said that the Australian pest management industry can be traced back to the First Fleeter’s of 1788, where many of these Fleeter’s are responsible for the transport of their own pests during their journey such as fleas, cockroaches, bedbugs, lice and rodents. All though they may have transported many of their own pests, pests/insects to Port Jackson, Australia was already infested with many other pests; one of which was termites. The new settlers quickly became familiar with the termite activity in Australia when their tent pegs and their stores made from wooden crates were quickly devoured. The first official pest controllers were most likely convicts with a dog or two to sniff out the rats in food stores. In the 1900’s the first real pest control entrepreneur was established in Sydney and later more branches were opened in Melbourne, Brisbane and Adelaide where the pest technicians would load their bags up with an assortment of potions, dusts and baits, a hand sprayer and bulb duster and call on business premises (including brothels) providing pest extermination treatments. These days pest control has evolved so much that treatments now are quicker, more effective and safer due to proven scientific studies and state-of-the-art application equipment to provide a more thorough treatment in hard to reach areas. When investing your money in a pest control service on the Gold Coast many people would like to know that the pesticide is safe and is approved by a governing body. A lot of people in search of pest control these days tend to look for the cheapest option available which can sometimes lead to cutting corners using diluted chemical, unsafe toxic chemicals and cheap ineffective pesticides that provide short-term results at a low cost. These days you get what you pay for and with companies offering half the cost of the industry’s rate, it can make you wonder what is the product or poison being sprayed on to the walls and floors around your home, family and pets. Gold Coast Pest Management Solutions provide a professional service with guaranteed results at the industries medium cost, providing Gold Coast residents a reliable and affordable pest control service. State Of The Art Pest Control Products. Gold Coast Pest Management Solutions only use the very latest and best pest control products to ensure that every customer receives the best and safest pest treatments available on the market. Every pest treatment carried out can be different to the last treatment as every property and pest infestation is different. Therefore different pesticides are used with certain pesticides registered for certain applications and premises which can also allow effective chemical to be applied in those higher risk properties such as hospitals, pet shops, crops and more. Gold Coast Pest Management use many different products but all are considered the industry leading products such as Termidor, Demand, Max Force, Temprid, Arilon, Coopex and more. It is important that when you are investing in a pest control service that the company you choose is using the correct product. Not all products are registered for the use of every pest and therefore ineffective and unsafe treatments are commonplace with inexperienced pest controllers who often advertise extremely cheap pest services. Gold Coast Pest Management Solutions will ensure that along with the correct products to eradicate your pest issue, your concerns are taken into consideration and, if needed, a tailored program will be provided in order to solve your issues and adhere to your concerns. It takes a lot more to successfully eradicate a pest infestation than just chemicals and equipment. A professional pest controller needs to be knowledgeable about the particular pest he is treating. Knowing the behavior and life cycle each pest is critical for effective pest management. Each pest requires a different treatment in order to control. So why are some pests difficult control? Here are some interesting facts on a range of pests we commonly encounter here when providing pest control Gold Coast and reasons why controlling these pests can be challenging. People will often wonder how to eradicate cockroaches from my home or resturaunt? Well cockroaches can and have survived nuclear explosions and have the ability to survive extreme radiation and are extremely difficult to eradicate once they have become established. What we do know is that cockroaches moult about once a week which makes the window of opportunity for eradication that much narrower. 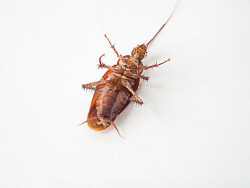 Also, if a cockroach pest control treatment is carried out and not all cockroaches are eradicated, the surviving cockroaches’ offspring can build a resistance to the chemical due to previously being effected by a small dose of chemical much like humans being vaccinated. This resistance can make future pest treatments ineffective and, in order to properly eradicate the cockroach population, the use of a different pesticide or dosage is needed. Ants can be one of the hardest pest to eradicate due to the distance and lcations they may have their nest in relation to your property. Many people will ask ‘How to eradicate ants form my home’. A proper ant eradication treatment will depend on the species of ant. Pest control sprays can often prove useless in the control of ants and can sometimes make the ant infestation worse as it can actually cause the ants or ant colony to disperse and lay more eggs and separate colonies. Also the fact that the ant infestation someone is experiencing may be numerous ant colonies and not just the one same colony, an ant treatment with the use of baits is required to ensure the ants taking to the bait, will actually take the bait back to the nest and feed the colony members resulting in eradication. Often times a intergrated ant pest control approach must be taken where baits along with non-repellent pest control sprays are used to work simultaneously to effectively control the ant colony incuding the queen. It may sound simple enough but a treatment with ant bait can be more complex as all ants require a different bait as some ants may eat sweets/sugars, some eat meat and others fats, meaning one bait will not take care of all your ant worries. 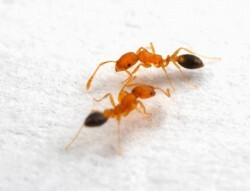 Even if you have the correct bait you may be required to feed the ants for weeks depending on how far away the colony is and how large the colony is, sometimes a second or third treatment may be required to ensure the ant eradication treatment is a success. Due to the ants transporting the ant bait back to the nest there can be a time period of anywhere from 1-8 weeks depending on a number of factors until the ant nest is completely eradicated. Fleas are definitely one of those pests Gold Coast Pest Management Solutions are called upon to eradicate after the previous pest controller was unsuccessful. DIY flea treatments are rarely effective in eradicting the entire flea infestation as there are a number of things that a professional pest controller will do to help eradicate a lfea infestation and provide a thorough and warranted flea pest control treatment Gold Coast. 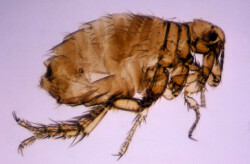 Adult fleas can survive harsh conditions even after there is no pet, human or host to feed upon. The adult flea can survive up to 4 months without food and the eggs can lay dormant in the carpet or soil for up to 10 months until they are disturbed by vibration and warmth and then hatch. At this stage the occupants of the premises are infested with an outbreak of fleas. A simply spray with a registered pesticide does not do the trick. A certain type of chemical must be added to the general pesticide called an Insect Growth Regulator (IGR). The IGR works by preventing the formation of chitin. Chitin is an essential carbohydrate needed by the insect to form a new exoskeleton resulting in the flea dying. Without this essential chemical many flea outbreaks will occur leaving victims stressed and confused often calling the pest controller back as the previous treatment has been unsuccessful. Termites do not need above ground access to your property as most pest do. 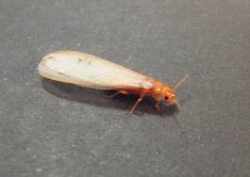 Termites travel underground to enter your property and the occupant is only aware once it is too late. Misconceptions that Gold Coast Pest Management Solutions regularly hear are; 1. “But I can see my weep holes and the termites are not going in there so how did they get in”? and 2. “My house is made of brick and they don’t eat brick so they can’t get in”. Both of these statements are incorrect! Termites do not need a weep hole to enter your home. Termites can enter a building through gaps and cracks in the mortar holding the bricks together. They also enter from below the house – through the foundations (especially is moisture is present). Much like ants, the termite colony may be located 50 to 100 metres away from your property. Unless a termite inspection, along with professional termite eradication treatment is carried out, followed by the installation of a termite preventative system, your property is at a very high risk of termite attack. In fact, studies and research have shown that termites attack 1 in 3 properties during the life of the building. Note: This applies to Gold Coast homes as well. Although there are some things that home owners can do them self to help how to detect termites in your home, a professional termite controller will be equipped with termite detection tools and equipment that assists with the detection of termite activity and damage including nests hiding with the walls of your property. Gold Coast Pest Management Solutions specialise in Pest Inspections and Termite Inspections Gold Coast and can provide effective termite eradication and control to ensure your property is not terrorised by these natorious pests. A general pest control for spiders spray around your building’s perimeter will not always provide adequate protection from spiders, as spiders will often float or fall from a tree or heavy winds and bypass any treatment applied to the ground and will land straight on to your building or windows. In addition, a typical spray applied to the ground does not effect spiders as it does with other pests. A normal spray for cockroaches and ants relies upon applying the spray to an area the ant or cockroach will walk across and become affected by contact of the poison. Spiders do not walk like other pests, as the spider walks with most of its body and abdomen off the ground. The only section touching the ground is the spider’s feet, which are not big enough to pick up the poison. Therefore a pest control treatment must be carried out that will most likely hit the spiders web or the spider itself. This is why a thorough pest control treatment to all areas including the external areas must be carried out. If you are constantly seeing big spiders inside your home, I cannot stress enough the importance of a professional treatment of the gardens, mulches and retaining wall cracks and crevices which most pest controllers miss. These areas are ideal hiding spots for spiders and often when gardening you will lift a rock or mulch and a spider comes jumping out. Some properties are surrounded by bush or vegetation and can benefit from regular external treatments to reduce the number of spiders in the property. Gold Coast Pest Management Solutions often find clients that experience high spider activity are surrounded by excessive bush or vegetation and tend to have rock retaining walls that provide the ideal home for spiders. Another pest that cannot always be successfully controlled by the application of a wet pest control spray is the ubiquitous Australian fly. Since a wet spray relies on the pest coming in contact with the residue, the fly can often miss the treated areas. The fact that the fly can fly, makes it difficult for inexperienced pest controllers to solve the client’s issue. No pest control can guarantee that all pests will be eradicated especially a flying pest but an effective fly pest control treatment can be carried out using attractive baits that lure the fly in to the poison itself. This, along with a wet pest control spray, can provide excellent results and reduce large numbers of flies. Next time you are being bothered by flies and are in need of a pest control Gold Coast or surrounding areas contact the experts in pest control Gold Coast. Bird lice are a serious health concern and only a experienced pest controller is recommended. The mite/lice are tiny biting insects that are often microscopic and they will crawl down the walls of your building and feed on your skin and blood causing severe irritation. Allergic reactions are sometimes observed as well. To control bird lice/mites the first priority is to eradicate the bird activity or animal such as a rat that is harboring lice/mite. Along with that a thorough pest control treatment must be carried out to the property. The application of a registered pesticide for mites is a must and Gold Coast Pest Management Solutions are equipped with a misting machine that will deliver very fine particles of pesticide that will adhere to the surface of your walls and ceiling areas where the mites travel. The application of the chemical must be very fine and if the treatment is to heavy the treatment will often fail, this is why tailored equipment is used to apply an effective bird mite pest control treatment. Possums can be very difficult to remove from a property. All possible entry points must be identified and blocked or the possum problem will persist. The entry points for possums are usually out of reach areas that make it difficult for the householder to deal with. Our possum control team not only have the equipment to access all the possum entry points but doing it safely and professionally. The holes need to securely blocked so the 1. The client is happy with the work and 2 there is no possible way the possum can get back into your property. Along with the above limitations that make possum removal difficult there are also a number of permits that are needed when carrying out possum control. First, it must be noted that possums are a protected species in Australia and you must have permit to remove them, and second is that if the structure is higher then 2m, a working at heights safety permit is required. Gold Coast Pest Management Solutions are licensed for both possum removal and working at heights. We are equipped with working at heights harnesses and anchor points to successfully and safely carry out a possum pest control service. If your home is in need of a pest control Gold Coast or surrounding suburbs you can trust that Gold Coast Pest Management Solutions are well equipped and experienced to tackle any pest issue you are experiencing, all while providing a safe and friendly licensed service. Don’t hesitate to contact us today or fill out our quote form and we will contact you to arrange your next pest control service.